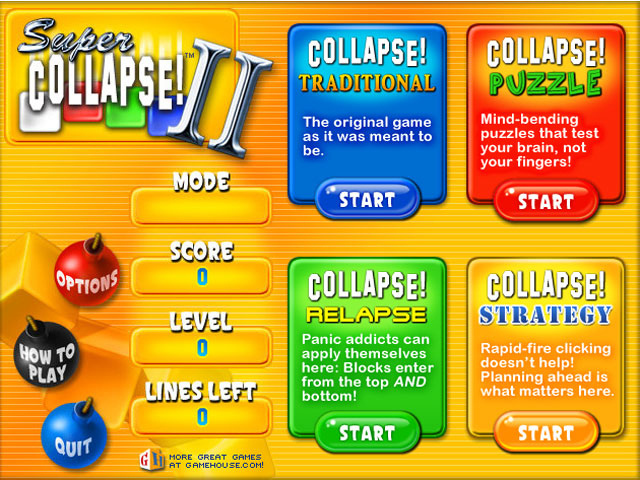 My Family Fun - Super Collapse II Think you've mastered Collapse? 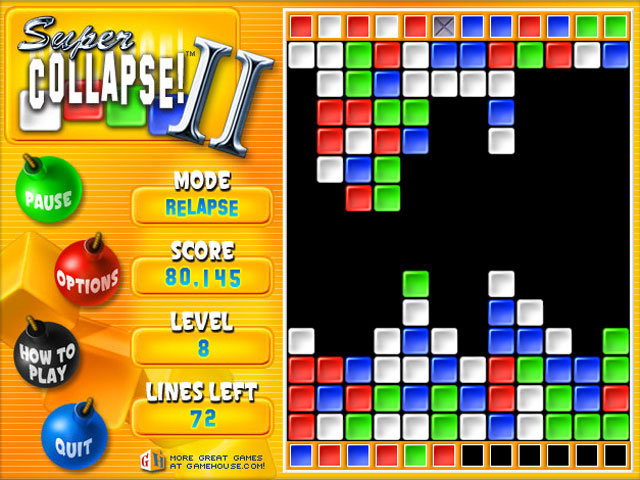 Those little cubes you see in your sleep at night are back in three new versions to take you to even greater heights of fun and excitement. 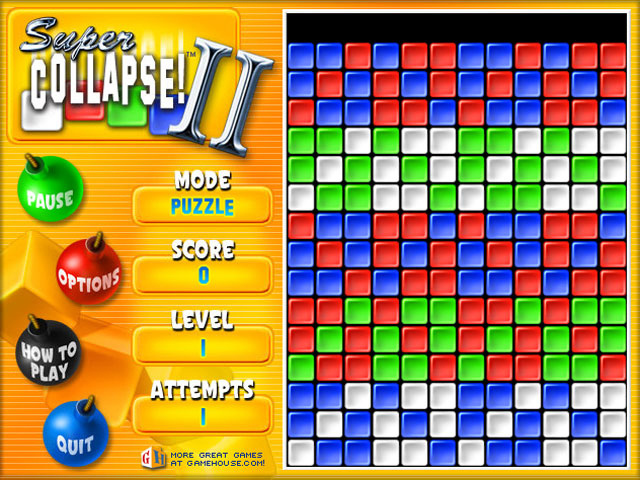 Lots of new power pieces and play options combine to make this more than just a sequel. 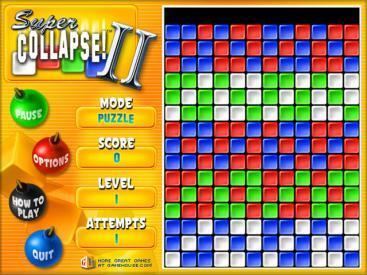 Super Collapse! II is three times the fun family place.